and the popular dance show Riverdance. Vallely joined Lúnasa in 1999 and with them has recorded seven albums and played over 1500 shows in 20 countries, including major tours throughout North America and Europe, Japan, Hong Kong, New Zealand and Australia. Lúnasa are considered true innovators in Irish music and receive universal critical praise. They have played in major venues like the Hollywood Bowl, the Royal Concert Hall of Glasgow, Dublin’s National Concert Hall, and the Bercy Arena in Paris, as well as every major folk festival, including Glastonbury, Womad, the Edmonton Folk Festival, and Lorient Interceltique. They were also named “Performers of the Decade” by LiveIreland.com in 2010. Their most recent work is a groundbreaking album with Ireland’s RTÉ Concert Orchestra in 2013. Lúnasa maintains a sterling profile and are standard bearers in the world of traditional music. With over 60 recordings to his credit, Vallely is an in-demand studio session musician. He has collaborated on traditional music projects including Callan Bridge with his brother Niall and On Common Ground with flute player and Lúnasa bandmate Kevin Crawford. 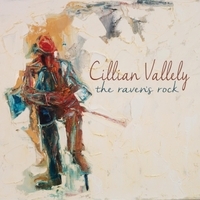 Vallely has also toured and recorded with the likes of Natalie Merchant, Tim O Brien, Mary Chapin-Carpenter, Alan Simon (with members of Fairport Convention and the Moody Blues), the Celtic Jazz Collective with David O’Rourke, Lewis Nash and Peter Washington, the Prague Philharmonic Orchestra, Karan Casey, Micheal O’Suilleabhain, and many more. Valley’s playing has also been used in the soundtrack for the BBC series Flight of the Earls and for Hollywood motion pictures including The Golden Boys. Most recently, however, he was a guest on Bruce Springsteen’s High Hopes album, a modern day classic, which topped the charts in 14 countries.